In Posthumous Riposte, Editor Of 'Charlie Hebdo' Targets 'Islamophobia' : The Two-Way Stephane Charbonnier, who was killed in the Jan. 7 attack on the French satirical magazine, says in a book completed two days before his death that the term plays into the hands of racists. Stephane "Charb" Charbonnier, editor of Charlie Hebdo, is seen on Sept.19, 2012. The late editor takes on politicians, the media and "Islamophobia" in a posthumously published book completed two days before he was killed Jan. 7. Stephane Charbonnier, the editor of Charlie Hebdo who was killed in the Jan. 7 attack by two radical Islamists on the satirical magazine, is having the last word. In a new book completed just two days before the attack that killed 12 people, Charbonnier, who was commonly known as "Charb," says the fight against Islamophobia protects Islam more than it does Muslims. The title of the 88-page book, published Thursday, translates to Letters to the Swindlers of Islamophobia who play into the Hands of Racists. "In an opening poem that targets preconceived notions, Charb writes that his intended audience includes those who 'think it's written in the Quran that drawing the Prophet Muhammad is forbidden ... think caricaturing a jihadist in a ridiculous position insults Islam ... think a drawing is more dangerous than an American drone.' "
Charb also asks why the term "Islamophobia" is used to describe racism against Muslims when it could be taken to mean "fear of Islam." He attributes it to lazy journalists because "any scandal that contains the word 'Islam' in its title sells." "A terrorist is scary, but if you add that he's an Islamist, everyone wets themselves," he writes. He says a better word would be "Muslim-o-phobia" — an irrational fear of a people. Charb also criticizes anti-Muslim attitudes in France. "If one day all Muslims in France converted to Catholicism ... these foreigners or French of foreign origin would still be seen as responsible for all ills," he writes. He uses the book to defend Charlie Hebdo, long criticized by Muslims, Christians and Jews for its depiction of figures the religions consider sacred. It was the paper's depiction of Islam's Prophet Muhammad that apparently angered the gunmen who attacked the magazine. Many Muslims regard any depiction of their prophet — even positive ones — as offensive. 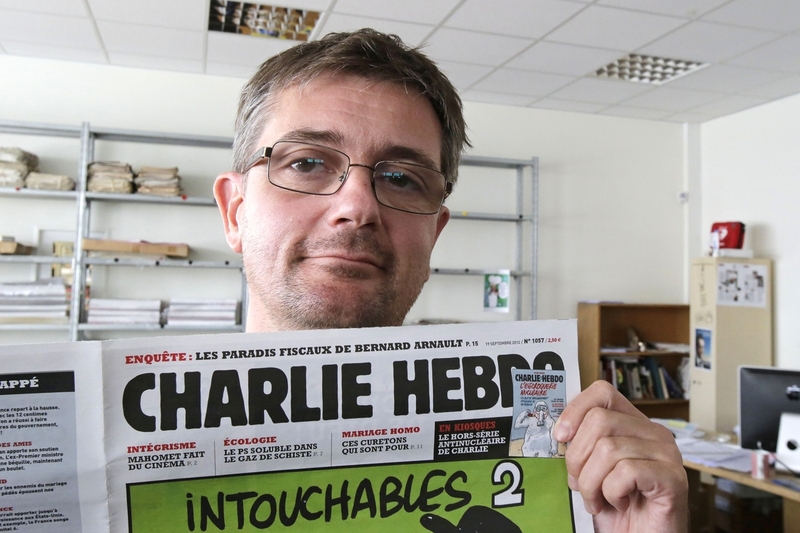 "One day, for a laugh, I will have to publish all the threats I received at Charlie Hebdo, from Catholic fascists and Muslim fascists" alike, Charb writes in the book, excerpts of which were published in French media. "He defended Charlie Hebdo's controversial depictions of the prophet over the years, which have been criticized as Islamophobic.
" 'By what twisted logic is humor less compatible with Islam than with any other religion? ... If we let it be understood that we can laugh at everything except certain aspects of Islam because Muslims are much more susceptible than the rest of the population, isn't that discrimination?
" 'It's time to end this disgusting paternalism of the white, bourgeois, intellectual "left" who seek to exist among the "unfortunate, under-educated poor," ' he wrote." And, he writes: "To be afraid of Islam is without a doubt moronic, absurd and many other things as well, but it's not an offense. The problem isn't the Quran, nor the Bible, [two] badly written, incoherent and soporific novels, but the believer who reads the Quran or the Bible like one reads an instruction manual on how to assemble an Ikea shelf."